What better way to begin your event experience by joining in on one of our Round Robins? Here is an opportunity to spend time with numerous talented vendors/designers in a Round Robin. Each is a designer, manufacturer, and/or shop/internet business. Come and learn a little about them and receive several small kits designed by these participating vendors/designers. All vendors/designers will present their project and explain finishing while giving insight as to how they began in business and/or what inspires them. This year we’re offering 3 sessions! 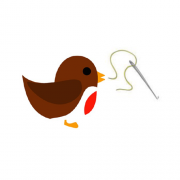 The Early Bird Round Robin on Wednesday will feature 5-6 teachers and kits. Friday’s Round Robin sessions each feature 4 teachers and kits.